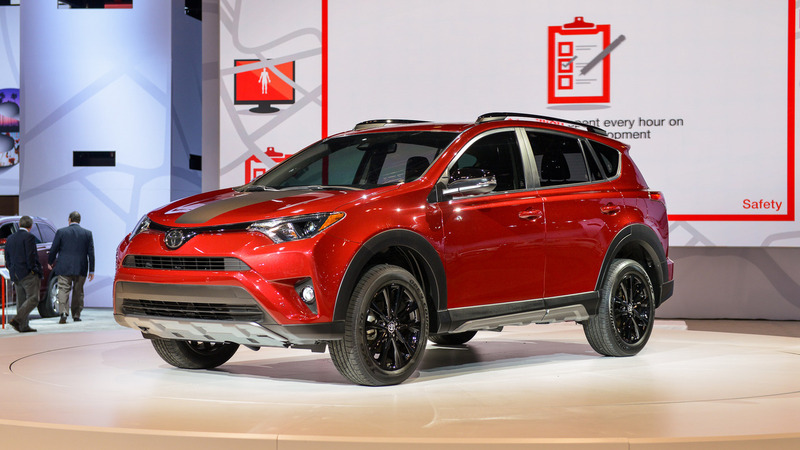 Released in 2012 and updated in 2015, the aging RAV4 still looks on par with most of its rivals. 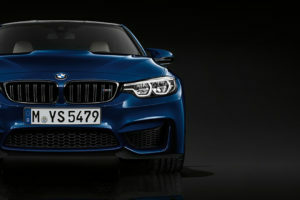 However, while it is highly comfortable and efficient, it doesn’t offer the performance some of its competitors have. 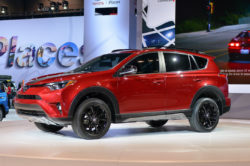 Despite that the RAV4 still sells better than ever and in order to keep its lead, Toyota released an update a few days ago. 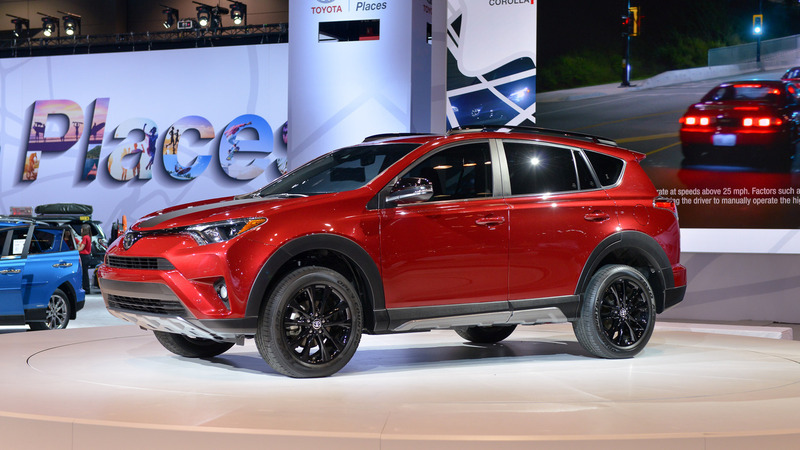 The 2018 Toyota RAV4 doesn’t change much for the regular model. 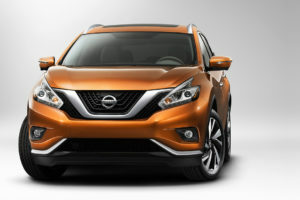 However, they did add a brand new trim level with the Adventure version of the car. Not that long ago rumors about a TRD version were flying around the internet. Even though the Adventure is not a TRD model, it isn’t that far off. 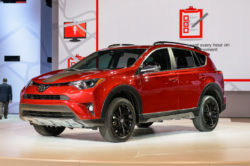 In fact Toyota even stated that the models already sporting a TRD version might receive at a later date an Adventure model as well. 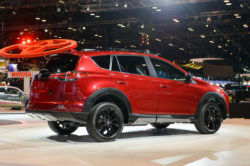 The Adventure RAV4 is the first off-road oriented model of the car. Even though the RAV4 is nothing more than just a crossover, the Adventure upgrades should allow it to fare quite well at least in light off-road. Toyota added features inside and out and the running gear has been revised. The best part about this package is the cost. The Adventure will start at little over $1,000 more than the regular versions of the car. This is very good considering what it brings to the table. 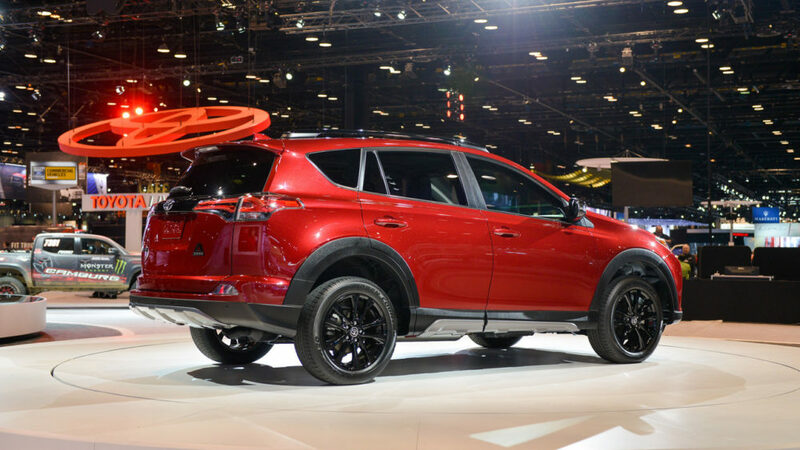 The 2018 Toyota RAV4 Adventure comes with a brand new suspension system which is now taller than before. Thanks to it the ground clearance, approach and departure angles have improved. With the new suspension they also added new 18 inch wheels which are now wrapped in 235/55 18 inch tires. These should allow it to drive great on the road and do well in off-road as well. On top of that, the transmission has been revised. 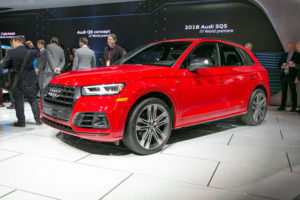 The front wheel drive model actually sports a brand new automatic limited slip differential while the all wheel drive model features a dynamic-torque control system, basically limited slip differentials simulated through the ABS. Thanks to these upgrades, even the front wheel drive model should be able to do great in off-road. Even though it still looks similar to the regular version, the Adventure RAV4 is somewhat different. 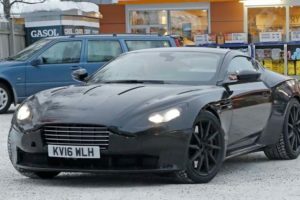 For starters, the front end now sports black headlights inserts, black fog-lamps surrounds and even a slightly different protective cover for the bumper. The rear features a similar protective cover as well as more black inserts. On the sides there are new black wheel arches which are quite a bit wider than before. 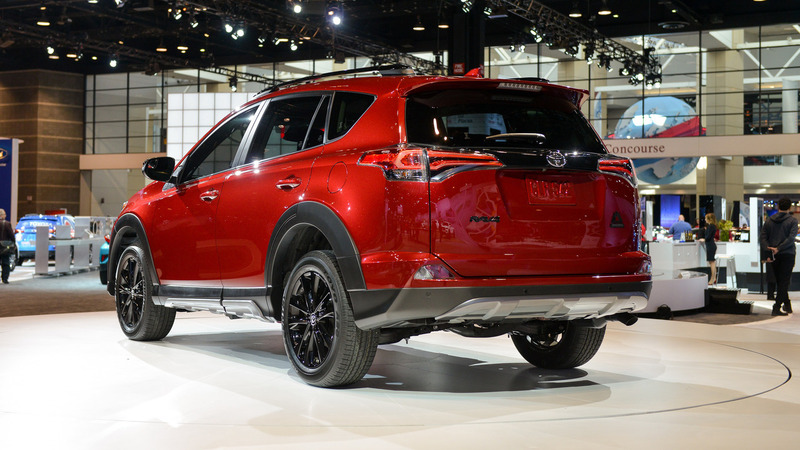 All of these are meant to give it an off-road look and also allow the RAV4 to go without a scratch for longer. Even though they didn’t have to do anything here, the 2018 Toyota RAV4 Adventure does feature a few upgrades over the regular model. There are unique trim panels all around, Adventure badges, Adventure door-sills aluminum protections as well as all weather floor-mats. The usually optional tow-package is also a standard feature on all Adventure models with things like trailer-sway control or hill-start assist being included. So far it seems that the Adventure package will only be available with the 2.5 liter naturally aspirated engine. This makes 176 horsepower and 172 lb-ft of torque which is not that much. However, together with a 6 speed automatic, it is more than enough for the RAV4. 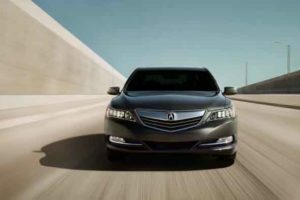 The fuel efficiency is great and the engine manages to deliver great performance for the price. The hybrid seems to be only available with the regular versions for it. This is a bit of a disappointment but it is understandable as why Toyota did this.